CodeFights started out as a competitive coding platform, but has since morphed to focus more on interview prep and helping businesses recruit developers. To better reflect this focus, the service today announced that it is changing its name to CodeSignal. 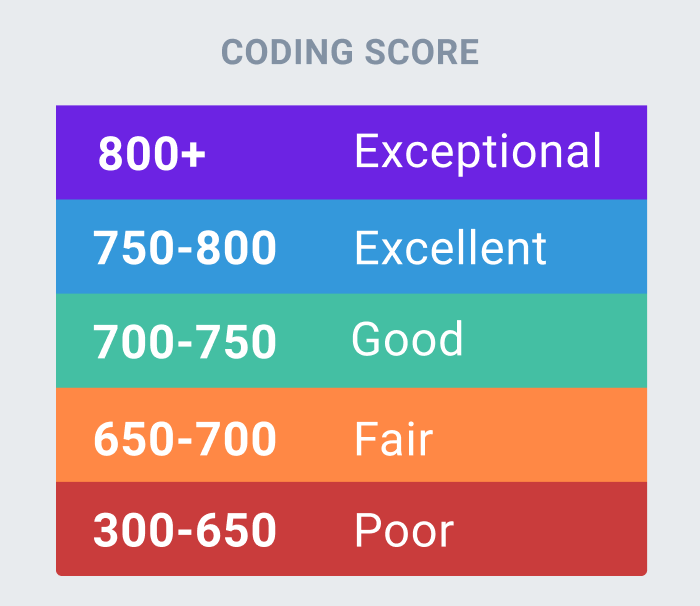 In addition to this, the company also today officially launched its Coding Score, a credit score-like ratings system for developers with scores that — just like today’s credit scores — range from 300 to 850. To round out its set of announcements, the company also announced that FICO CEO William Lansing is joining the CodeSignal advisory board. I’m not sure everybody will agree with his assessment, but Sloyan is right that today’s methods of rating a developer’s skill based on what school somebody went to, resumes, GitHub projects and coding interviews doesn’t present a full picture of an applicant’s abilities. He also notes that this process, where the actual hiring decision is often based on the preferences of only a few people, can lead to biased decisions. The Coding Score, Sloyan argues, takes away many of these biases and purely focuses on an applicant’s abilities. How does CodeSignal calculate this score? Sloyan tells me that a developer only has to solve three challenges on the site to get a score — and that first score is accurate to about 85 percent. As developers solve more challenges, the service starts refining the score. Developers are ranked based on their speed and accuracy (which are weighted according to the difficulty of the challenge), and how they solve those problems. CodeSignal benchmarks developers against each other. To do all of this this, the team trained a machine learning model on the vast trove of data the company has collected since it launched its first coding challenges in 2014. CodeSignal started pitching the Coding Score to recruiters at major tech firms over the course of the last few months. Sloyan admitted that it took a while before these recruiters trusted these scores, but today a number of these companies use the scores to bypass phone interviews and move right to in-person interviews for some candidates. Developers, it’s worth noting, can choose to share their scores publicly or keep them private until they want to share them with recruiters. Looking ahead, CodeSignal wants the Coding Score to become the de facto standard in the developer hiring market. While this model is surely applicable to other fields, Sloyan noted that CodeSignal isn’t all that interested in branching out right now, but he left the door open for adding scores for other technical fields as well. “I do believe the model scales,” he told me. “What you need is a platform for people to practice and learn a certain skill. That platform needs to have an automatic assessment engine behind it.” And with enough data from that, it can then analyze those scores and calculate a score. Bonus: To launch the new scoring system, CodeSignal calculated and ranked the average scores of users from a number of companies and colleges. Previous articleautomated testing – How to shutdown remote AVD headless emulator from command line on window 7?